After checking with the local supplier in Seligman, I found that he would be about $600 more, and wasn’t very interested, because he had doubts about being able to deliver the 40′ container. He was mostly dealing in 20′ containers. So I called GTLogistics back and discussed delivery specifics. After finding that we were 6 miles of dirt roads off the interstate, they said that they would have to add $200 to the shipping. I was expecting that, and agreed that it was a reasonable price. We sent a tentative date of Oct 16th for delivery. Payment would be by check to the driver, to avoid a credit card payment fee. I headed up to the Ranch on October 15th to prepare for deliver the next day. On the drive up, I received a call to check if I would be ready the next day. Due to forcasted rain in the area, I decided to put off the delivery for an extra day. On October 16th, the forcasted rain came a day late, and I was getting nervous about making it in on muddy roads. The driver called that afternoon, and we discussed delivery again. Since it was currently raining, and I didn’t have a good feel for how much we might get, I decided to postpone the delivery again. When I got back to Mesa, I called the company and rescheduled for October 25th. The long term forecast showed this to be in the middle of a dry spell. I went back up on October 24th, and received a call again, to confirm delivery schedule. Everything looked good, so I gave it a GO! 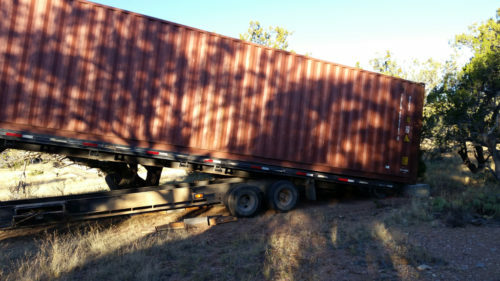 Later that afternoon, the driver called to confirm, and to find which way to load the shipping container on the trailer. I told him to load it with the doors facing the cab of the truck, so when he slid the container off the back of the trailer, the doors would face our driveway. He offered to deliver that evening, but couldn’t arrive until 8:00pm. He was driving from Long Beach. That was going to be dark, so I opted to keep the original schedule of the following morning. At 6:00 am, the driver called to tell me he was in Kingman, about an hour out. I heated up some breakfast, and headed out to meet him at the off ramp on the interstate. I only got to the offramp about 5 minutes before he did. 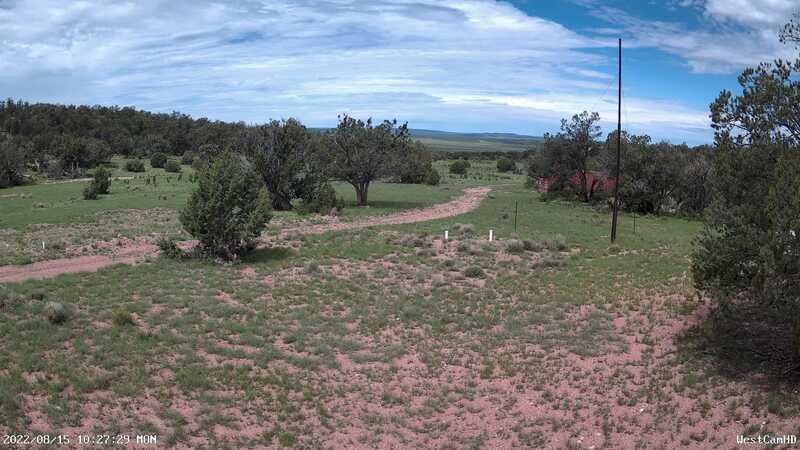 When he arrived, I motioned for him to follow me, and we took the back roads off of Jolly Road, to avoid the deadly S-Turn on Markham Pass with the deep ditches on each side. He had no problems pulling the 40′ container in from the Jolly Road exit. 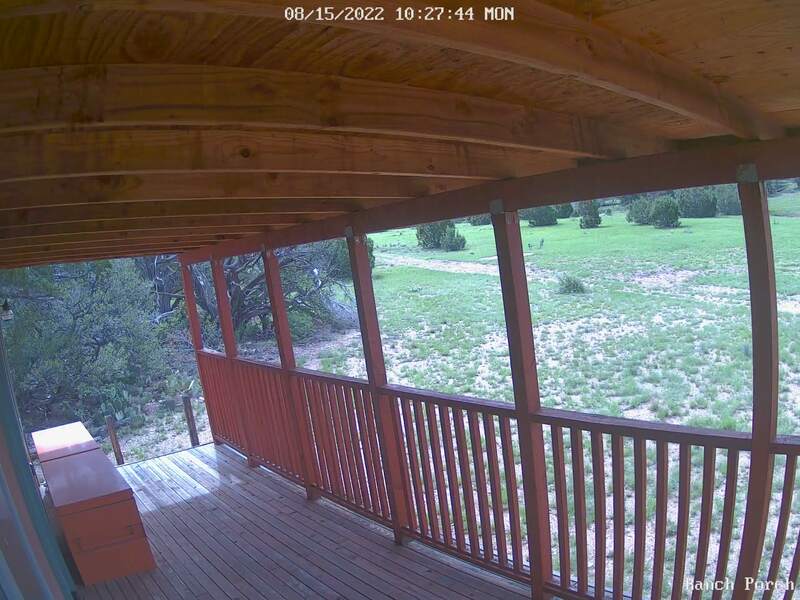 When we arrived at the Ranch, we got out and discussed where the container would sit, how he would back in, and his exit out. As he backed up over the middle two piers, his trailer tires were not centered on the blocks, and it ended up tipping one of them to the side. 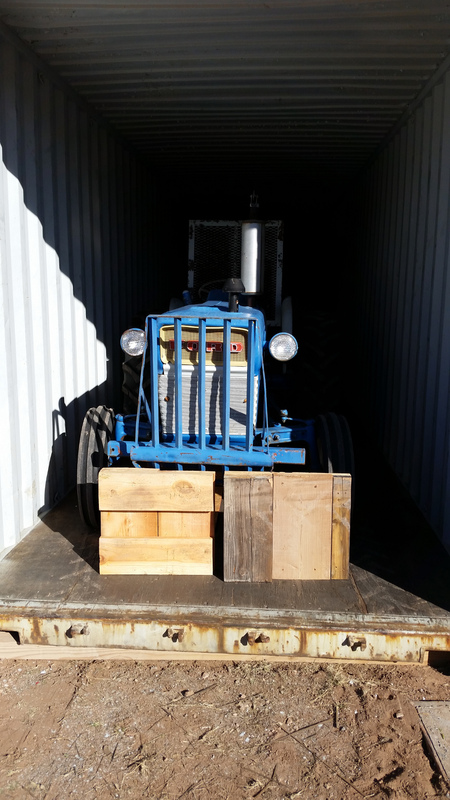 He was able to maneuver into position, and set the back of the container on the two 18″ high blocks in the back. It took 3 tries, but he got it there. Then, as he was pulling out, with the trailer tipped up to allow the container to slide off, the back of the trailer caught one of the middle piers, tipping it over, and out of place. 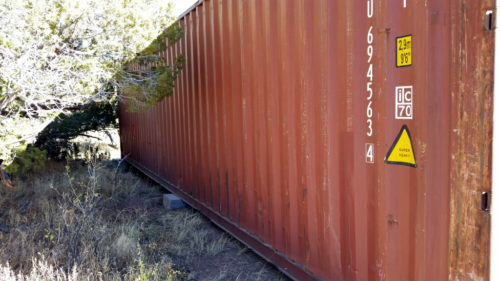 I stopped hi at that point, and we were able to tip the block back into place, and continue offloading the container. My measurements between the two ends of the cement blocks/piers was off by about a foot. I don’t know how that happened, but I was too long by about that much. So I put a couple of 4×4 wooden posts where the end of the container would actually drop. When the container finally dropped the couple of inches off of the trailer, it landed on the posts and knocked them a little out of wack. The driver hooked up the container to the tail end of his trailer with a chain, and was able to lift it several inches, while I re positioned the posts. Then he gently set the container back down on the posts. 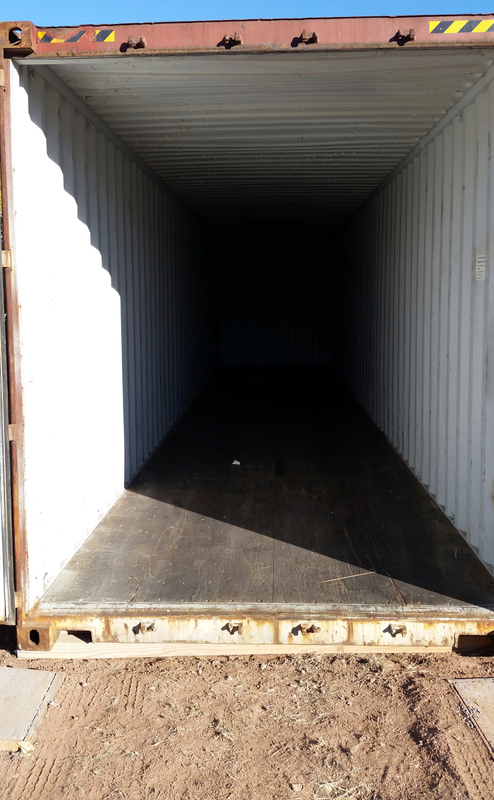 So the important part is: the back of the container is sitting on 18″ high cement blocks to make it level with the front. 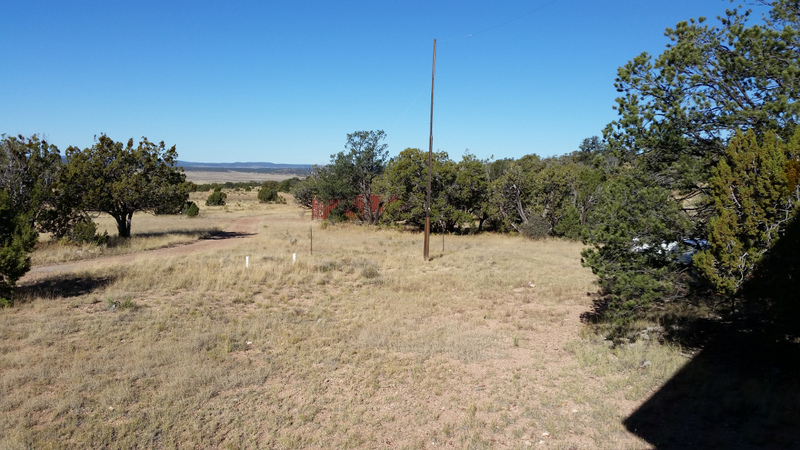 The middle two blocks are supporting the middle, and the front is supported by two 8′ long fence posts lying on the ground. That is good for now, and I can work on getting cement under the front later. 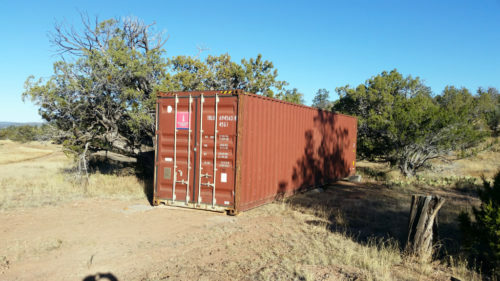 The container was bought as a “WWT” (Wind & Water Tight) condition, which is the poorer grade which is no longer certified for use on ships at sea, but still does not leak. The next condition up is “Cargo Worthy”, which is still certified for sea duty. This container seemed to be in very good condition, with only a couple of very minor dents (less than 6″ long, I’d say). The driver explained that he had a choice of two containers when they were loading them up, and he chose the better looking one, which turned out to be Cargo Worthy. So I got the better grade container at about a $600 discount from normal. Nice! I tipped the driver for his hard work and help getting them on my makeshift piers, and escorted him most of the way back to the interstate. 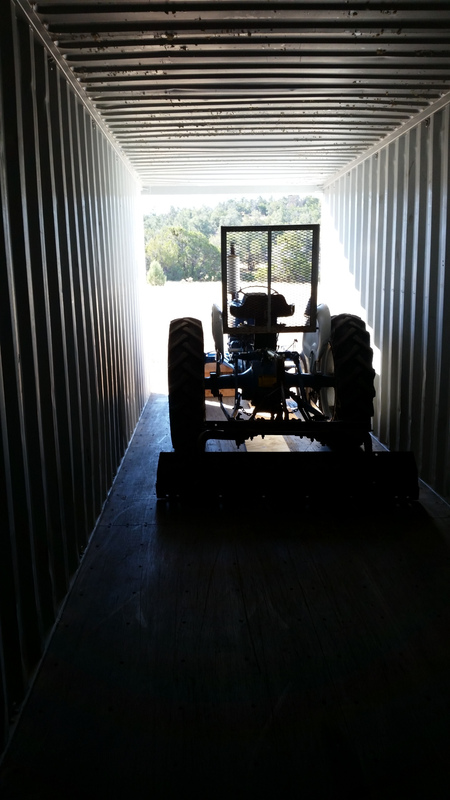 I’m really happy with the container, and now have my tractor in the clean, dry, rodent-free space.